When you plan your daughter’s birthday party, what is the first thing you think of? We commonly associate princesses, spa parties and lots of pink glitter when thinking of what a little girl wants her birthday to be like. Have you ever considered truly unique and different? Not every girl wants to be a princess, or even be pampered like one for her birthday. Maybe you have a daughter who loves to build, explore and figure out how things work. The truth is, parents should start thinking outside the box when coming up with party ideas for their girls. One way to do this is by throwing her a STEM themed science party. It's no secret that women are underrepresented in math, technology, engineering and other scientific fields. Did you know that in the US, women earn just over 57% of bachelor’s degrees, yet less than 20% of those degrees are in STEM fields like science, computer science, engineering and physics? How can you encourage the young girls in your life to get interested in science, especially when it is such a boy’s club? It can be as simple as throwing her an educational, science-themed party for her next birthday. We’ve compiled a list of the best companies and services that offer educational parties with a STEM component that are perfect for girls who aspire to be the next Marie Curie or Rachel Carson. 1) Mad Science: Mad Science is a leading enrichment provider that hopes to teach young kids to love science and experimenting. With franchises all over the world, Mad Science strives to engage children ages 5-12 with interactive shows. You can have your little girl’s party in their laboratory, or the lab can come to you with an in-home birthday party. They offer party themes like “Air Blast”, “Reactions in Action” or “Wacky Water”. These science birthday parties will allow your child to complete different experiments using pressure, fire, colors of light and electricity, static and energy and chemistry! Your little one will be mesmerized when they make their own cotton candy or take a trip on a real hovercraft. Why it’s Good for Girls: Not only will your daughter and her guests be treated to an hour-long educational show, they will participate in hands-on experiments. This will encourage her to continue to explore the sciences as she gets older. After all, there’s no better way to reinforce education than getting down and dirty with the subject material. Location: Many locations throughout the United States. 2) The Great Adventure Lab: The Great Adventure Lab aims to make STEM fun for kids and inspire the next generation of scientists. 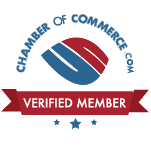 Their team will come to your location for a 75-minute hands-on party. The majority of their parties focus on robotics, but they also offer a Crime Scene party where guests will interpret the scene of a crime using forensic chemistry methods. Parents of younger kids will want to check out the Storybook Science party, which focuses on science literacy as a way to engage younger learners. Why it’s Good for Girls: While boys and girls are both welcome, The Great Adventure Lab has additional programming designed especially for young women. In 2011, they created Girls Get Science, a panel series which features leading female doctors, researchers and scholars – all of whom were little girls who grew up to be scientists. 3) Bricks 4 Kidz: While you need to be an adult to do actual construction, builders of all ages can play with LEGOs. Bricks 4 Kidz is an international organization that allows children to explore concepts related to engineering, robotics and mechanics while playing with the simple, colorful little blocks that are a childhood staple. Why it’s Good for Girls: Operating under the motto “we learn, we build, we play,” Bricks 4 Kidz teaches problem-solving, fosters teamwork and sparks imagination - all skills your daughter will need during her career in the sciences. 4) Liberty Science Center: Party like a mad scientist at the Liberty Science Center in Jersey City, NJ. 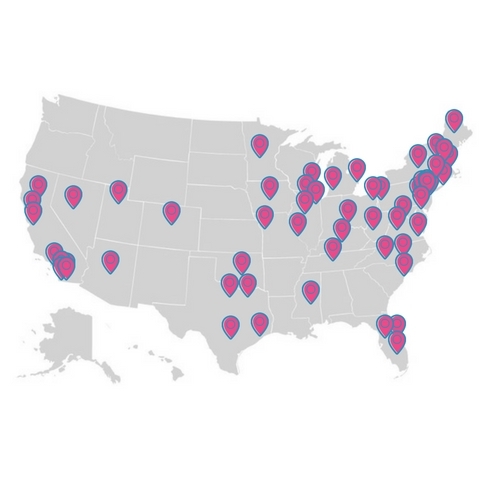 Since 1993, the LSC has been one of the top destinations in the greater NYC Metro Area for interactive science. This museum features rotating and permanent exhibits, events and an IMAX theater. Why it's Good for Girls: When you book a birthday party at LSC, you can choose two party activities from various fields of study, such as dissecting owl pellets, building model rockets, excavating for fossils and creating slime. After the party, the birthday girl and her guests will have the ability to explore the museum, and apply what they learned during the party at various hands-on exhibits and demonstrations. 5) Wondergy: There’s no inexplicable birthday magic here - Wondergy is all about science. They mix education and entertainment, because, according to them, “fun and science belong together.” Their educators are all college graduates with degrees from accredited universities. Make ice cream from liquid nitrogen, study the physics behind skateboarding or use your voice to make a laser light show for your birthday party. Why it’s Good for Girls: If your daughter loved her Wondergy birthday party, there are other ways to be engaged throughout the year. This Philadelphia-based organization travels the country to provide school assemblies, lectures, camps and library shows. 6) The Franklin Institute: Popular birthday party destinations include arcades, family fun centers and laser tag arenas – but what about having your birthday at a museum? The Franklin Institute, located in Center City Philadelphia, offers science birthday parties for children. Birthdays at the Franklin Institute include interactive science activities, an educational show and a guided museum tour, plus access to the museum after the party. Why it’s Good for Girls: Girls who want to explore all aspects of STEM will feel right at home at the Franklin Institute. She can view the night skies in the Fels Planetarium, witness physics in action with a replica of Foucault’s Pendulum or walk through dozens of exhibitions that feature the Earth’s core, outer space and everything in between. Their educational programming is as diverse as the girls who are interested in learning. STEM Areas: Astronomy, biology, physics, robotics, paleontology, engineering, chemistry...nearly everything! 7) Lab Coat Kids: Perform real experiments during your next birthday party with Lab Coat Kids. 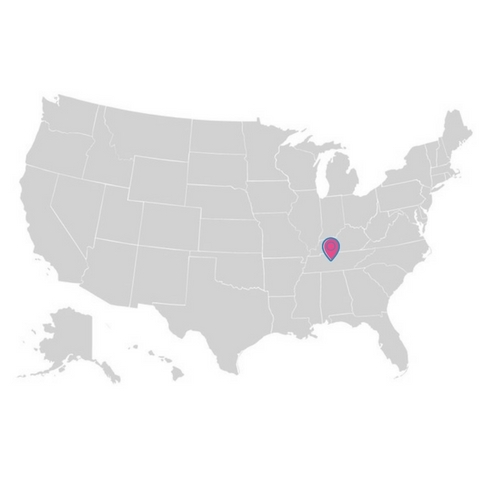 This Atlanta-based company brings the amazing world of chemistry to your location. Guests will conduct hands-on experiments to learn how simple household products can create astounding chemical reactions. Lab Coat Kids also offers presentation shows where the birthday child is the assistant. Why it’s Good for Girls: Chemistry has long been a discipline that has attracted women. Marie Curie, Elizabeth Arden and Rosalind Franklin are all pioneers in the field of chemistry. Will your daughter be next? 8) Fun Weird Science: A division of the Georgia Science and Robotics Academy, Fun Weird Science wants kids in the Atlanta, GA area to be proficient in all components of STEAM. Fun Weird Science, which is sponsored by Google and Panasonic Automotive, offers diverse programming, from after-school enrichment to summer camps. Their birthday parties are equal parts fun and weird. Why it’s Good for Girls: According to their website, African-Americans, Native Americans and Latinos make up only 12% of all engineering degrees. Fun Weird Science is a great resource in particular for young women of color to discover skills and passion for STEM. 9) TIFFT Nature Preserve: You better book your parties at least two months in advance at the TIFFT Nature Preserve. This 264-acre refuge is a department of the Buffalo Museum of Science. Guests will be treated to an hour-long interactive experience that allows them to be up-close and personal with nature. Exploring Earth's natural wonders makes for a unique birthday experience. Why it’s Good for Girls: Does your daughter crave adventure, exploring and getting down in the dirt? She and her friends can enjoy the great outdoors by doing a nature scavenger hunt, searching for bugs, engaging with wildlife or even going on a wintertime snowshoe trek. 10) Adventure Science Center: The research has been analyzed and it’s scientifically proven: Adventure Science Center in Nashville, TN is a blast. Their birthday packages are unique because they set out to explain the “science of birthdays.” Find out the kitchen chemistry that makes a birthday cake taste so good, watch how candles light up via combustion and learn how evaporation can (literally) blow balloons up. Who knew your special day could be so scientific? Why it’s Good for Girls: Birthdays at Adventure Science Center require that you become a member of the museum first. What better way to get your daughter involved in a lifetime of learning with a membership to one of the area’s best educational centers? Adventure Science Center is proud to offer TWISTER: Tennessee Women in Science, Technology, Engineering and Research, aims to promote professional STEM development for female high school students. When your little girl becomes a teenager, make sure she has career guidance. 11) Adler Planetarium: Explore the night sky at Chicago’s Adler Planetarium. Guests will blast off into outer space and experience a rocket launch simulation. There is also an immersive sky show and hands-on activities. The stars in the night sky will put any glittery princess tiara to shame. Why it’s Good for Girls: Sally Ride, an astronaut and space pioneer, is one of the most famous female scientists. At the Adler Planetarium, girls can find that same inspiration to shoot for the stars. The Adler Planetarium also knows how important it is to get women involved in the sciences. The Women’s Board is the museum’s affiliate organization that provides STEM education and programming to underserved youth, particularly girls. 12) Thinkery: The modern offshoot of the Austin Children’s Museum, Thinkery is an exciting and creative space for young scientists. Each exhibit is designed to maximize learning and fun. Birthdays at Thinkery incorporate all aspects of academia, even including art. Their diverse activities make Thinkery the perfect STEAM location. Why it’s Good for Girls: Thinkery offers add-ons to their party packages, so your daughter can customize her experience to fit her interests. Thinkery also has programming for little scientists as young as 12 months old – the perfect age to introduce her to science. 13) The Science Zone: There is always something exciting going on at The Science Zone in Casper, Wyoming. Their field trips, science camps, home schooler programs and after school clubs allow kids to explore almost any interest area. Their birthday parties cover diverse scientific disciplines, which means there’s something for everyone. Why it’s Good for Girls: Whether you are building with LEGOs, mixing colors, making liquid nitrogen ice cream, dissecting a cow eyeball or making a battery out of a pickle, The Science Zone takes a lighthearted approach to science. STEM can often be portrayed as intimidating and intense, which is one of many factors that might turn girls away. Having a fun, stimulating experience will be enough to ignite her love of STEM. 14) STEM Kids: Turn your home into a laboratory with STEM Kids. Serving homes and schools in the greater Del-Mar-Va area, this mobile science lab encourages childhood curiosity with fun and engaging experiments, activities and projects. Why it’s Good for Girls: If your little girl is a budding scientist, STEM Kids can tailor the party to her specific hobbies, interests and things to do. How cool would it be to have her favorite activities come to life? 15) The Lawrence Hall of Science: The Lawrence Hall of Science is a division of University of California, Berkeley. It is the only science center in the entire country that is affiliated with a top-tier public research university. The Hall has access to eminent leaders, thinkers and researchers, which allows them to complete their goal of fostering scientific learning for all, especially those who have limited access to STEM. Why it’s Good for Girls: Birthday parties that the Lawrence Hall of Science are 100% interactive. Their Animal Discovery party allows guests to interact with live animals and make habitats for them. The Fizz, Foam, Pop party will create crazy concoctions using safe, household chemicals. Design It will have your little engineers tinkering away to see how electricity affects machinery. Take a mission through space with the Mission Solar System party. The learning does not have to stop once her birthday is over. The truth is, we need girls more than ever to explore their interest in the sciences. Just ask Eileen Pollack, a writer who was one of the first women to earn an undergraduate degree in physics from Yale. In 2015, she published The Only Woman in the Room: Why Science is Still a Boy’s Club. 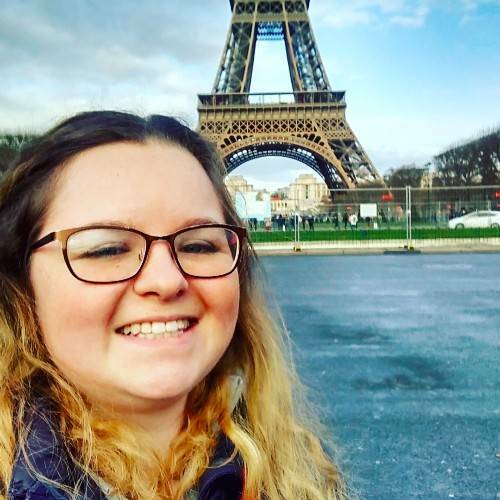 According to an interview with PBS.org, Pollack’s interest in the sciences started in the seventh grade when she wanted desperately to enter the accelerated science program at her middle school. Her principal advised against it, telling her mother, “Girls never go onto careers in those subjects”. The Only Woman in the Room explores the cultural, social and systemic barriers that discourage young women from STEM. Luckily, a lot has changed since Pollack's youth. Today, there are dozens of organizations and resources specifically designed for girls. Leading Ladies of Legacy is an organization dedicated to mentoring, teaching and transforming girls ages 7-18. They recognize that not only do young women need positive role models, they also need mentors in their lives. Organizations such as Girls Inc. 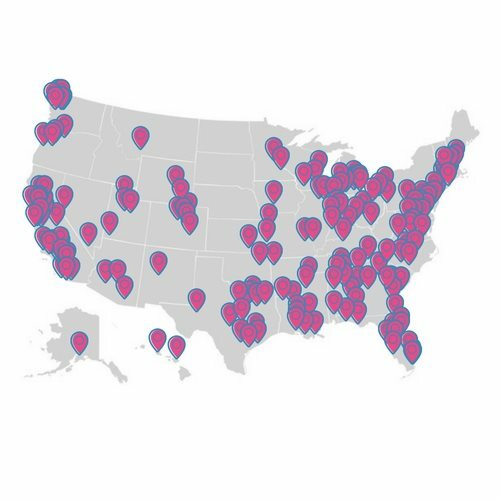 Girls Who Code, FabFems, EngineerGirl, The Bug Chicks and The Center for STEM Education for Girls are just a few of many resources that allow girls to cultivate an interest in the sciences. Going 2.7 million strong since 1912, Girl Scouts has been supporting girls’ strengths, passions and talents. Currently, their Imagine STEM initiative introduces girls to the world of science, technology, engineering and math in hopes of inspiring them to change the world around them. For your daughter’s next birthday, instead of asking who her favorite princess is, ask about her favorite subject in school. Having a glitzy spa party is fun, but wouldn’t it be cool to learn the chemistry behind the cosmetics? Let's throw science themed birthday parties for our little inventors, scientists and mathematicians. Any girl could be the next Jane Goodall, Sally Ride, Ada Lovelace or Eileen Pollack, as long as she grows up celebrating her love for learning. 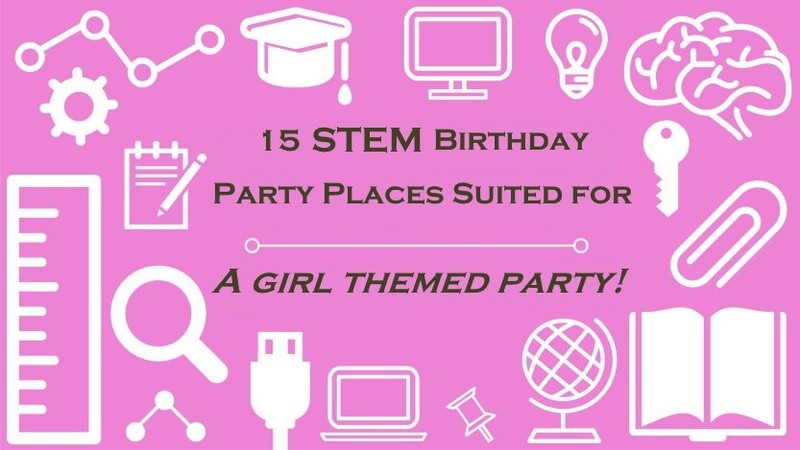 Are you going to have a STEM party for your daughter’s next birthday? These services that offer educational parties are a good place to start. 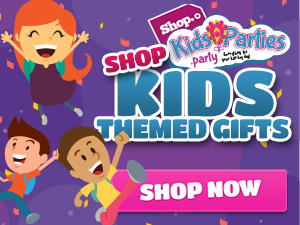 KidsParties.Party also features the best entertainment services for kids, no matter what they're interested in. Share this post with your daughter before you plan her next party and ask which one she’s interested in. See all girl themed birthday party services nationally! Your daughter deserves the most special of birthdays! We created a list of over one hundred ways to make your child's birthday even better. The perfect birthday party sounds nice, but what about their day in general or their birthday month! You can also pick out a unique birthday message from our list of handwritten birthday wishes. Find one for your daughter, your son, or anyone else in the family. They will appreciate the time and effort you put into finding the perfect wish. Don't forget to customize a card with our free, new software to share your wishes! Find birthday traditions from across the globe to share with your child. You can even pick out your favorites to try and do this year, so read and discuss it sooner than later!